Joshua Tree is a logarithmic stepped attenuator with 128 steps + mute. It utilizes eight Omron G6K relays and can be setup for any degree of attenuation per step and any total amount of attenuation. The kit uses Vishay/Dale 1% CMF resistors, providing 0dB to -63.5dB of attenutation (+ mute) in .5dB steps. The kit's input impedance varies between 2.2K and 10K, with a fixed output impedance of 750R. Each relay board can control two single-ended channels (stereo) or a single balanced channel (mono). Signal ground for each channel can be separate or For stereo balanced operation, two relay modules are used. 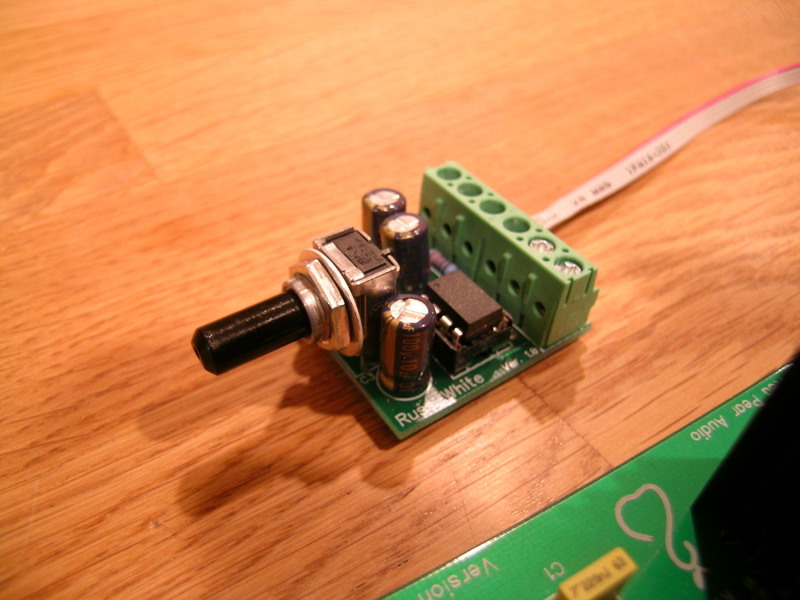 Control is provided by a Volumite, which uses a board-mounted 5K linear potentiomemeter for a classic volume control feel. the Volumite is designed to be mounted directly to the front panel using the potentiometer's threaded metal bushing and nut. The Volumite ATiny85 microcontroller monitors the potentiometer position and controls the Relay Driver module via a 4-wire I2C interface (power + data). The Relay Driver module can control both version 1.0 and 2.0 (new) Joshua Tree relay boards. 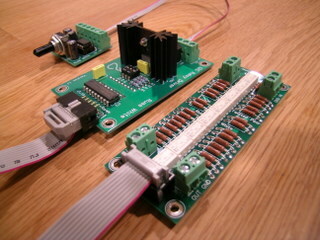 It also provides the power supply for the Volumite and relay boards, and is capable of driving up to four relay boards. 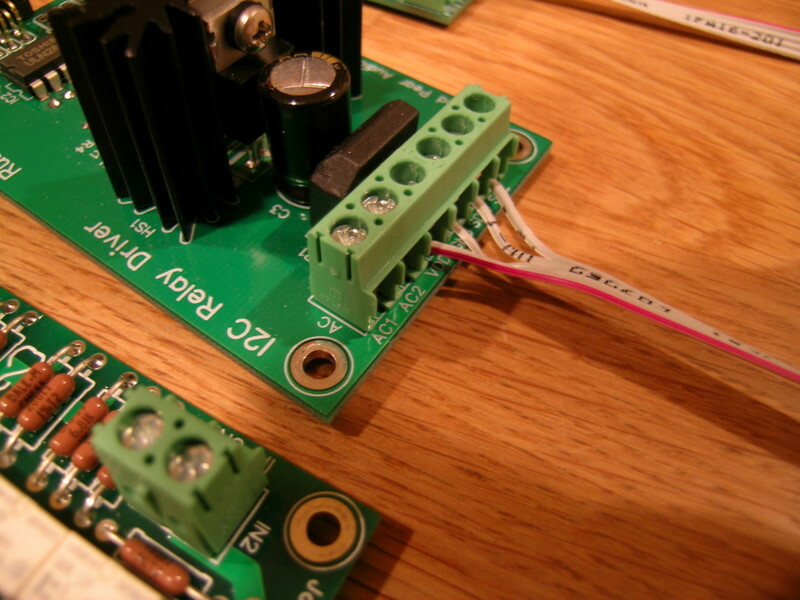 Multiple relay drivers can be used if more channels of control are required. It measures in at 2" x 3.3" / 51mm x 84mm, and 1" / 25.4mm tall (plus standoffs) with the voltage regulator's heatsink. The Joshua Tree's three modules allow for the ultimate in case layout flexibility. The relay modules are very small (1.5" x 4" / 102mm x 38mm), and have no noisy AC currents running through them; only the power needed to switch the relays. 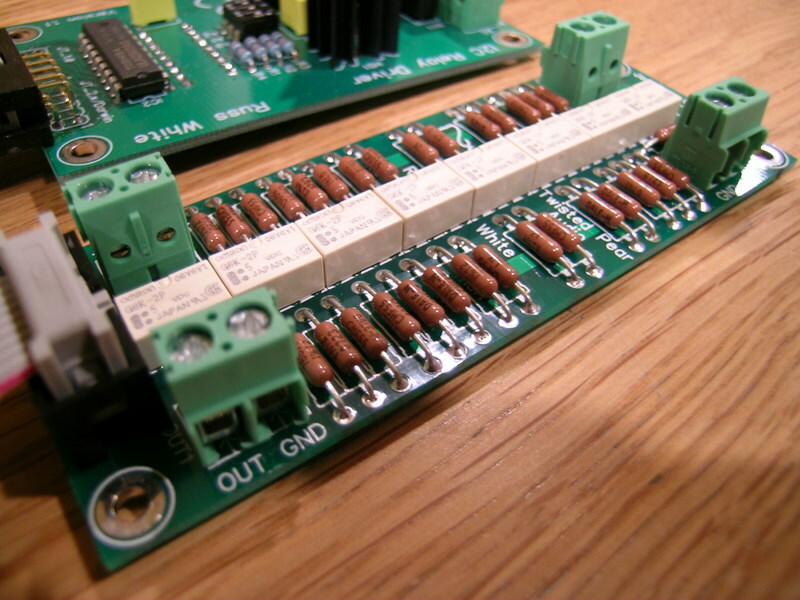 The relay boards are also very small and stackable, so they can be placed at the rear of the enclosure, near the audio signal inputs and outputs, and away from noisy power supplies and wiring. They are actually small enough to mount right on the rear panel. 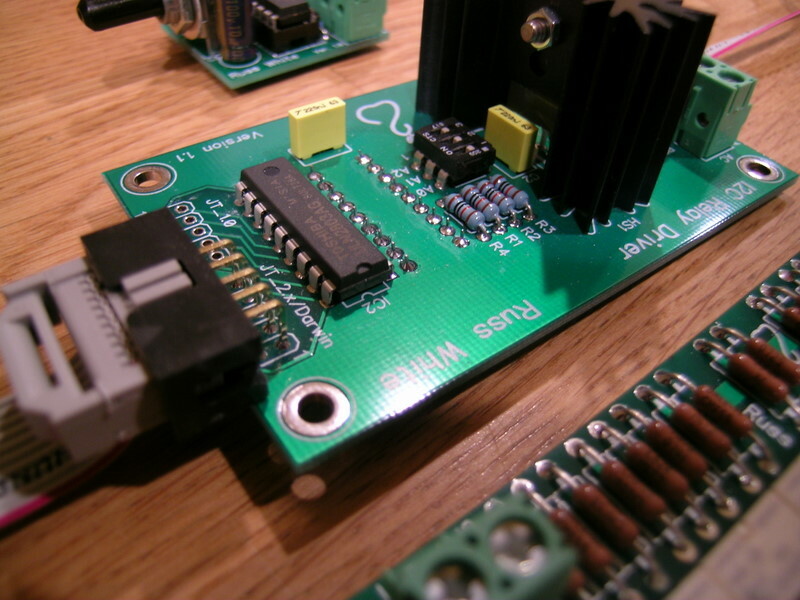 The relay driver board with power supply can be mounted close to your other power supply components where it won't bother anyone. The Joshua Tree's Relay Driver Module has an onboard rectifier and voltage regulator, and requires between 7VAC and 24VAC for operation. It is designed to be connected directly to a transformer.